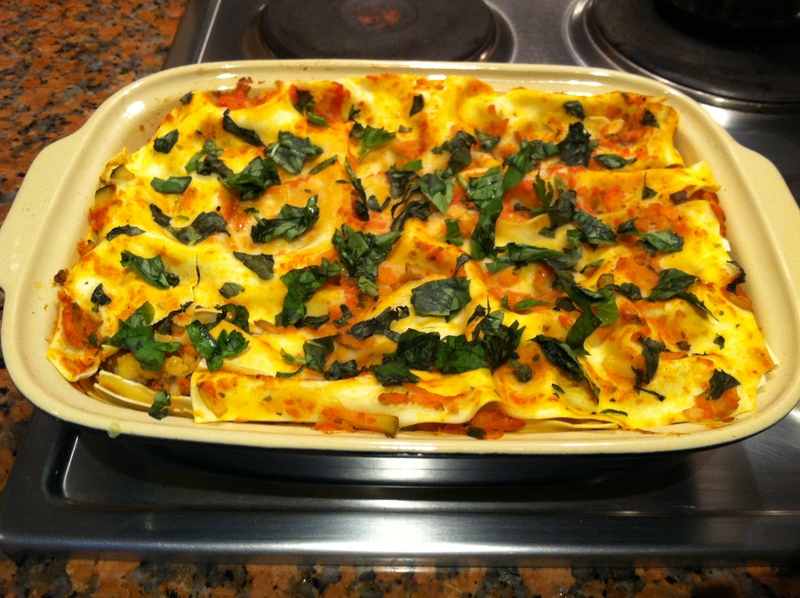 Scrumptious veggie lasagna with unique ingredients to make your taste buds sing and leave your stomach wanting more! Looking to make that classic Italian dish with a savory twist? Try the following recipe, all made from scratch except for the noodles! It’s relatively easy to prepare and sure to leave your kitchen smelling like a garden. I can’t take all the credit for this one, though. My sister and I tag-teamed. The cauliflower, pumpkin and Dijon mustard are perhaps most unique to this veggie-based lasagna. The cauliflower adds texture while the pumpkin and mustard give a zing that will leave your taste buds searching for the sources of that flavor. If you can’t find pumpkin in season, replace with a butternut or spaghetti squash. And don’t forget the lasagna noodles! Finely chop the onions and sauté at the bottom of a pot with chopped garlic, olive oil, oregano, salt and pepper. Purée the tomatoes in a blender. 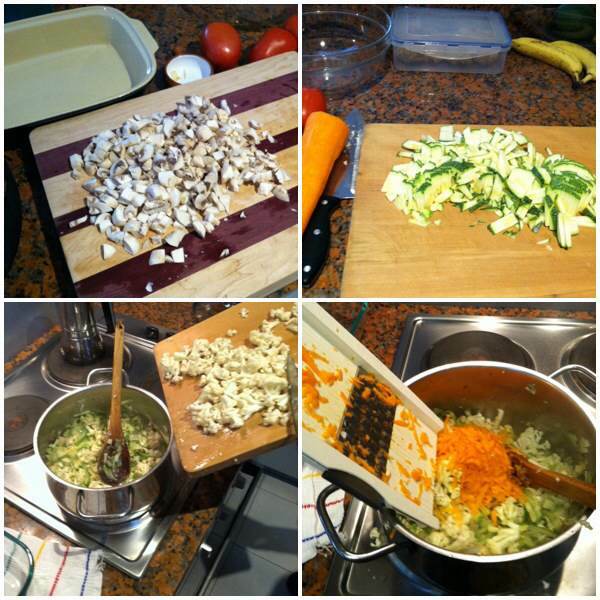 Chop the cauliflower, mushrooms and zucchini and cook over medium heat in the pot with the onions and seasonings. 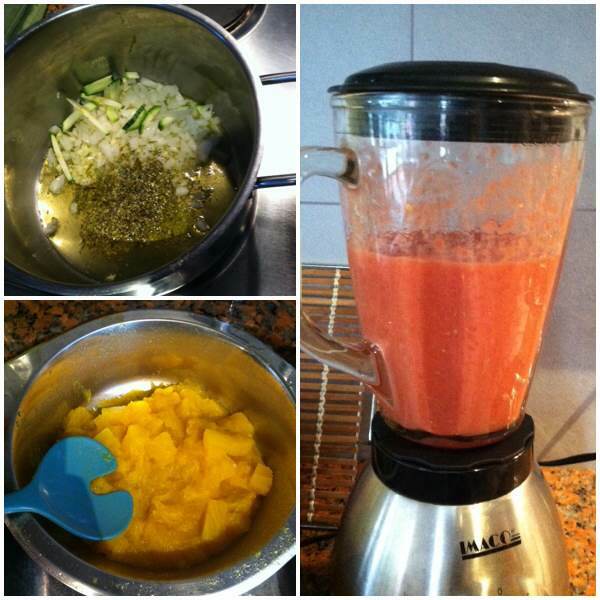 Shred the carrots and add them to the vegetable mixture along with the boiled pumpkin and tomato purée. Add the rosemary, chopped parsley and Dijon mustard into the vegetable sauce. Bring to a boil. 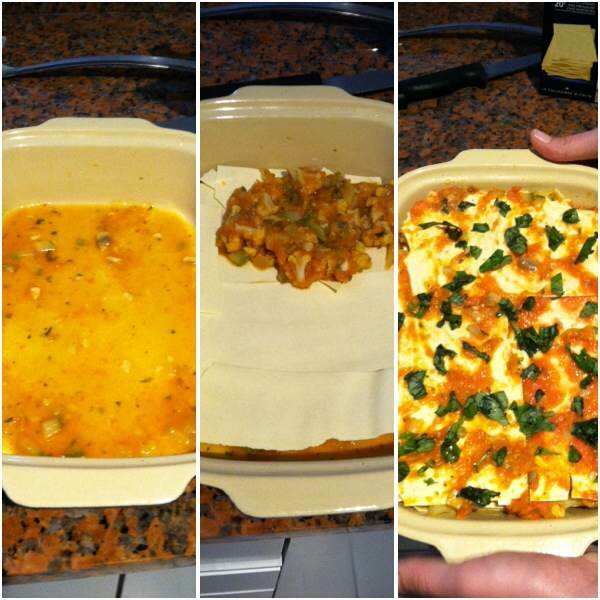 Cover the bottom of the lasagna pan with a thin layer of the juice from the sauce. Place one layer of noodles on top and cover with a layer of sauce. Place another layer of noodles in the opposite direction of the layer underneath, then cover with sauce. Repeat as necessary until you reach the top of the pan (usually 3-4 noodle layers). Cover the top noodle layer with a thin smear of juice from the sauce as you did in the bottom of the pan. This keeps the noodles from burning, sticking or drying out. Note that the sauce makes a great soup, too! Just follow the same steps through #6! Steps 1-3. 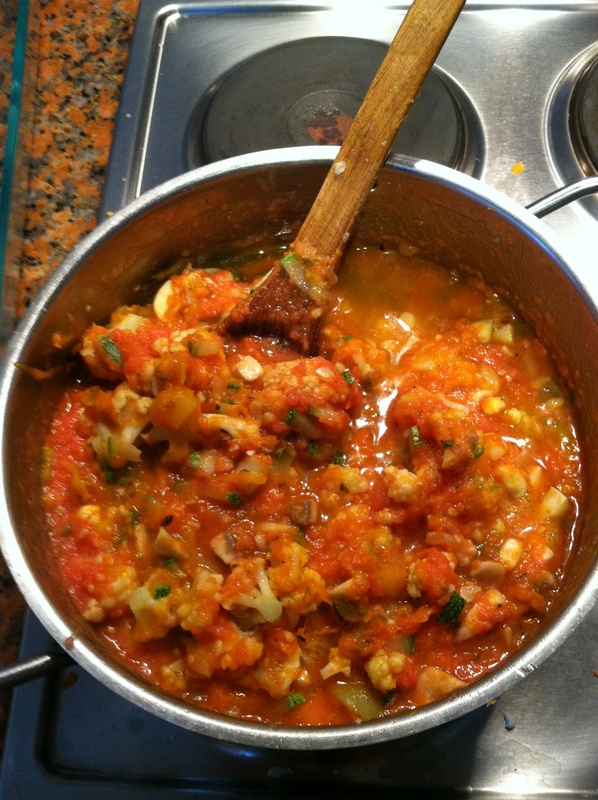 Saute seasonings with onion, boil pumpkin and blend tomatoes. Steps 4-5. Chop the vegetables and shred the carrots, then mix into the pan. Step 6. Add the last of the seasonings and bring to a boil. Steps 7-9. Layer the pan with juice from the sauce, noodles and the vegetable medley. Bake with foil at 350 F, adding basil just before finished. Step 10. Serve, eat, enjoy! LOVE all your recipes! YUM!!! Keep them coming!